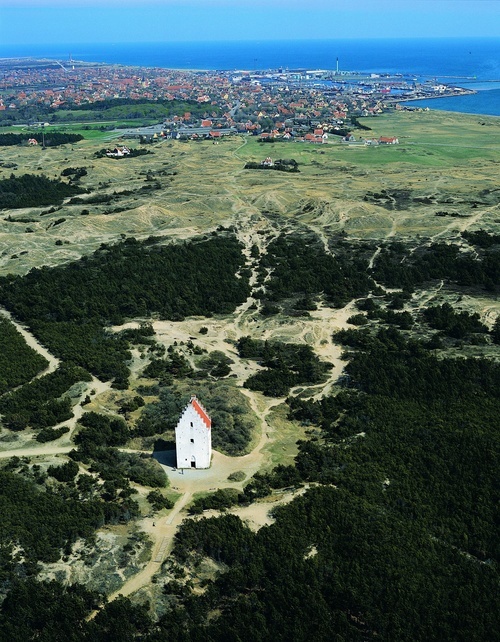 Skagen with the Sand-Covered Church in the foreground. Photo by Jan Winther / VisitDenmark. Rugged and wild, Skagen has long attracted painters with its stark beauty, hardy local fishing culture, and striking, everchanging light. Painters first began coming to Skagen in the 1870s, and an artists’ colony soon emerged that lasted until the early decades of the 20th century. 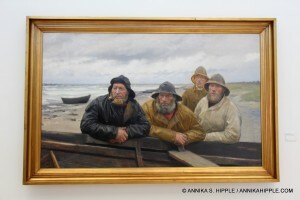 Painters such as Anna and Michael Ancher, Marie and P.S. 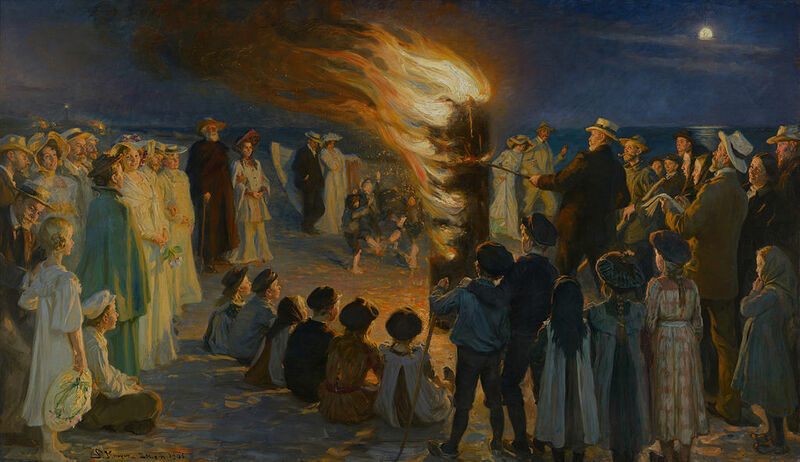 Krøyer, Laurits Tuxen, Christian Krohg, Oscar Björck, and others from Denmark and the neighboring Scandinavian countries returned again and again to Skagen and formed a close-knit artistic community over the years. Many of the scenes they captured on canvas can be seen at Skagens Museum, which houses more than 1,800 works by the Skagen painters. Across the street from the museum lies Bøndrums Hotel, once owned by the father of Anna Ancher (née Bøndrum), the only one of the Skagen painters born and raised in the area. Here the Skagen artists used to gather for drinks, meals, and private parties. 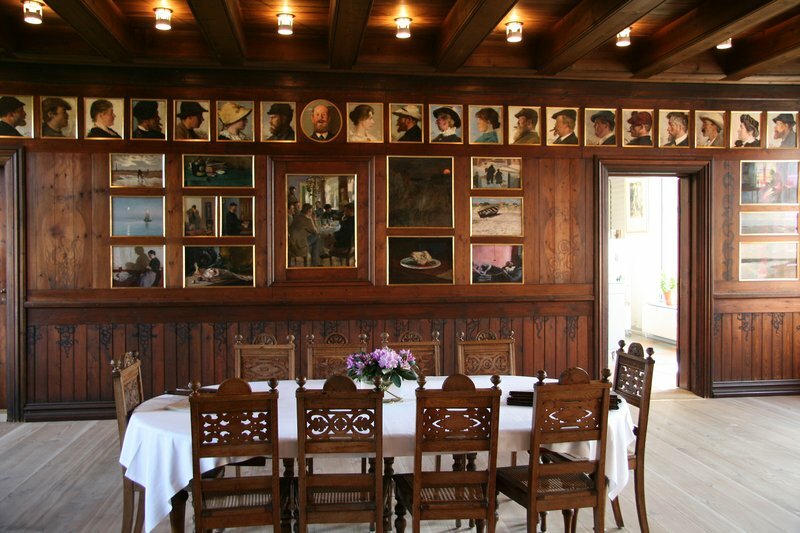 Over the years the artists donated portraits that were placed in a frieze in the dining room. In 1946 the entire dining room, with its 81 works of art, was moved to the Skagen Museum, where it can still be seen today. The Brøndum dining room, courtesy of Skagens Museum. The house where Michael and Anna Ancher lived for decades is now a museum, left as it was when Anna died in 1935. On the walls hang approximately 250 works of art by Danish, Swedish, Norwegian, German, British, and Dutch artists. Also open to the public is the home of Danish author and artist Holger Drachmann. Beyond the museum, the town of Skagen is a delightful place to wander around, with narrow lanes, brightly colored houses, long stretches of beach, and a lively town center and harbor with restaurants, bars, and seafood stalls. 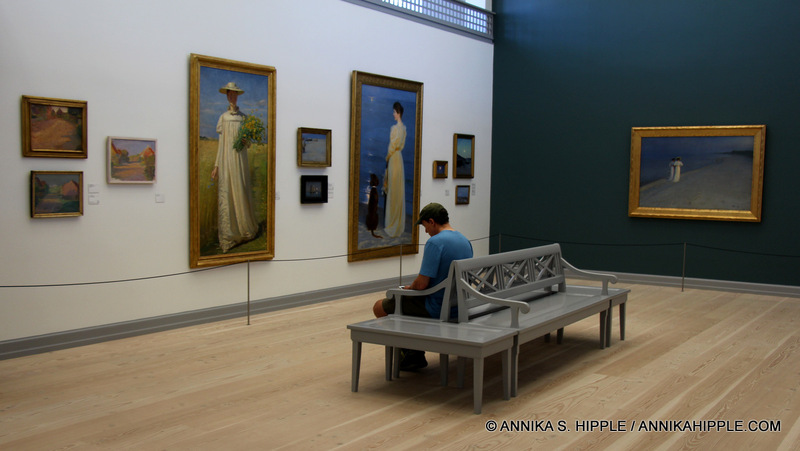 For more information about Skagens Museum, Anchers Hus, and Drachmanns Hus, visit the museum’s website: www.skagensmuseum.dk. 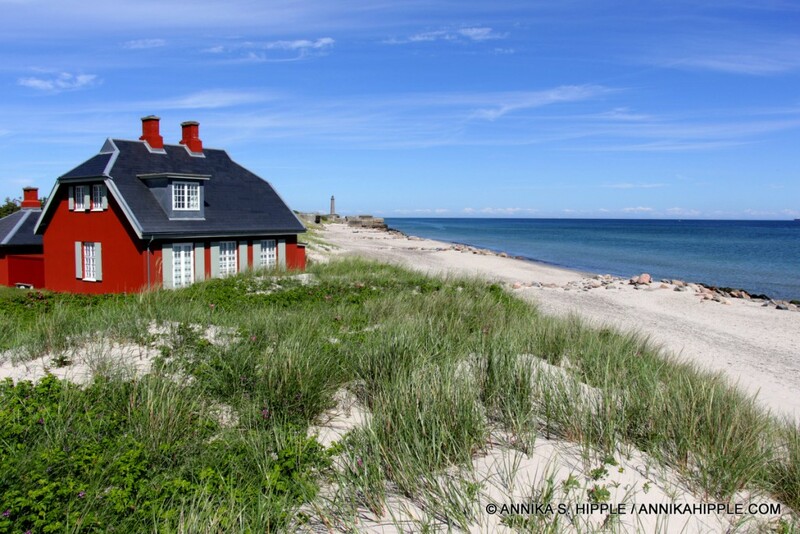 For general tourist information about Skagen, see www.toppenafdanmark.com.